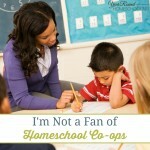 As homeschoolers my children are home with me all day long, every day of the year. My husband and I strive to include them in as many aspects of life and our family business as possible. We believe that this is extremely important to their education because the skills that they will need throughout their lives aren’t often found inside of textbooks. The life skills that we teach our children will benefit them far more than a standard education. Homeschoolers often grow overly concerned with ensuring that their schedules include all of the “required” subjects. However, we must not neglect the fact that textbooks do not teach all of the lessons our children need to learn. Not all homeschool children have the opportunity to learn the life skills that my children are being taught. At times our family business requires all hands on deck. That means that my children need to know how to properly light the pilots on water heaters, shovel snow to prevent water pipes freezing, fold and store linens, clean bathrooms and roof a building. My children were learning life skills long before we started our family business. They helped fold towels, load the dishwasher, weed the garden, pick shrimp, wash the car and shop for groceries. We live together as a family, so we work together as a family. Life skills has never been a part of our homeschooling journey, it has just been our way of life…until now. Since my children have become teenagers it has become more important that I focus on ensuring they’re ready for life beyond the walls of my home. They need to have the ability to live life successfully on their own without mom and dad at their side. I must be certain that they have the life skills that they will need no matter what comes their way. Thankfully, this isn’t a step on our homeschooling journey that I have to complete on my own. We’re just getting started with a brand new curriculum that is designed to help me prepare my children for life on their own! By using Skill Trek as our life skills curriculum, I have access to their library of over 500 lesson plans and videos. I can custom design each of my children’s course to match their current skill level by rearranging the lessons as I see fit. They have an amazing program that rewards children for the life skill tasks that they complete which makes the program more fun for them. This is a life skills program, so I know that children need each of these lessons. I am not concerned that it will be a resource that I do not use with my children, it won’t collect dust on the shelves or take up space on my PC. Skill Trek is full of lessons that my children need from detailing a car to storing extension cords properly, from baking a pie to using herbal remedies. 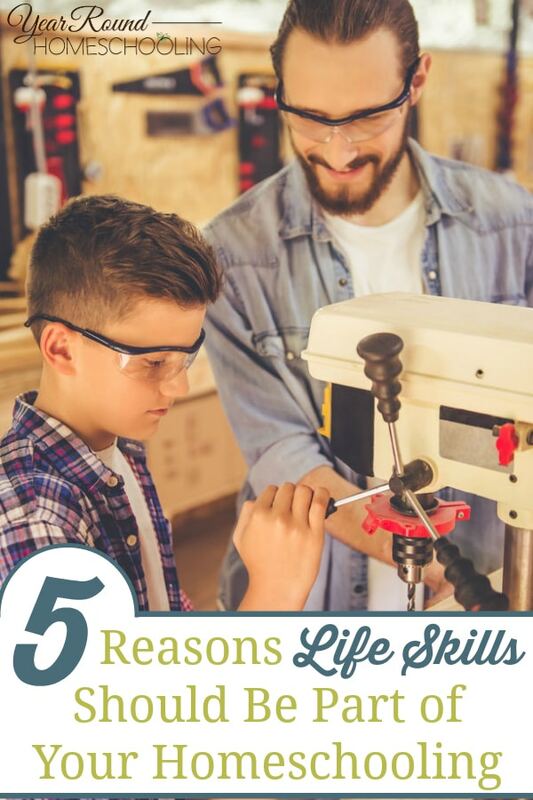 It may not seem important to have a curriculum focused on building life skills alone, but I assure you that teaching life skills will have a lasting impact on your children. A homeschool mom has so much to keep track of and balance each day. By teaching children life skills it can help not only prepare them for their future but it can also help your family too! When we’re teaching our children skills that they will need throughout life it will require that we spend time with them one on one. This will strengthen the relationship between a father and daughter, a mother and son or possibly both parents and a daughter/son. Our children don’t want us to do everything for them forever. They want to know how to do things on their own. This is first made apparent early on in the toddler years, but it never really fades away even if we don’t see it again until the teenage years. When we take time to teach our children life skills that they are then able to walk away and complete again on their own we will be building up their confidence. There are times as a parent that we would like our children to do things on their own. Often children are fearful of doing things on their own only to be told that they’re doing it wrong. It is even more heartbreaking for them when they see us come behind them and redo the task they’ve just finished. When we take time to teach our children how to complete tasks properly we’ll find that they will be willing to do more independently without help or direction. At the end of every child’s education there are high school transcripts to complete and college/job applications to fill out. It isn’t only what our children learn from textbooks that matter beyond their education. Life skills are often of greater importance than having the ability to complete algebraic equations or proper dissection techniques. Having the knowledge on how to properly balance a checkbook means that they can manage a till. Knowing how to roof a house can open the window of opportunity for construction employment. The more life skills we teach our children the more experience they have for whatever God may bring their way throughout their lifetime. We do not know what lies ahead for any of our children. However, they are our responsibility and we must do our best to ensure that they are prepared for the future. Teaching life skills will help our sons provide for themselves and for a family in the future. We need to prepare our daughters for their futures by teaching them the life skills they will need to live on their own and raise children of their own someday. How do you incorporate life skills into your homeschooling? To learn more about the flexibility of the Skill Trek program and how it can work for your special needs students, check out this video from my friend Sara and her husband, Andrew, the designers of Skill Trek!